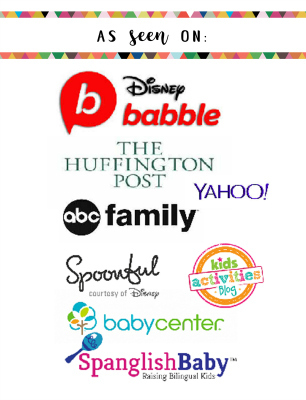 I had so much fun planning this party for my son’s 1st birthday. 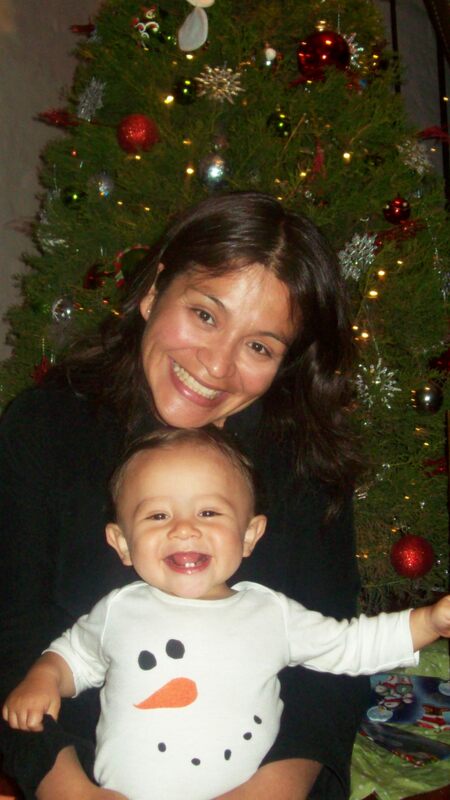 His name, Mateo means “Gift of God and Asher means “happy and blessed”, so having a Christmas theme party was perfect for his little jolly self. 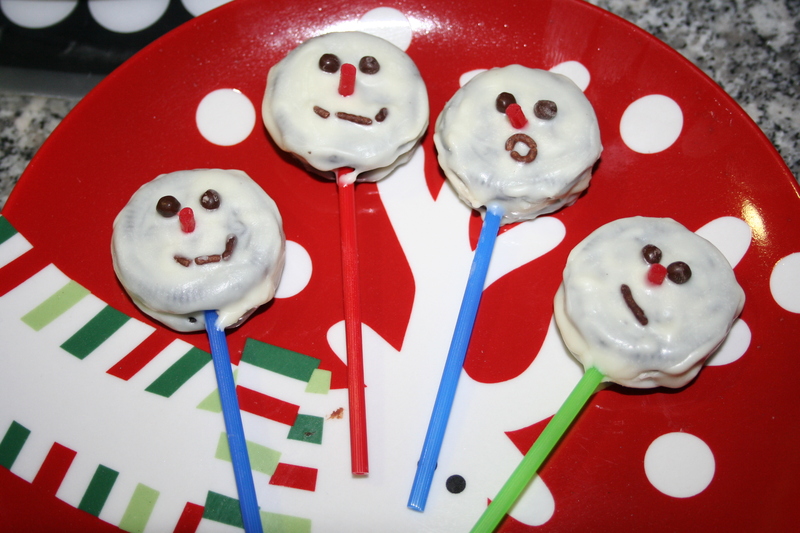 These ideas also work great for classroom parties/treats or Sunday School. 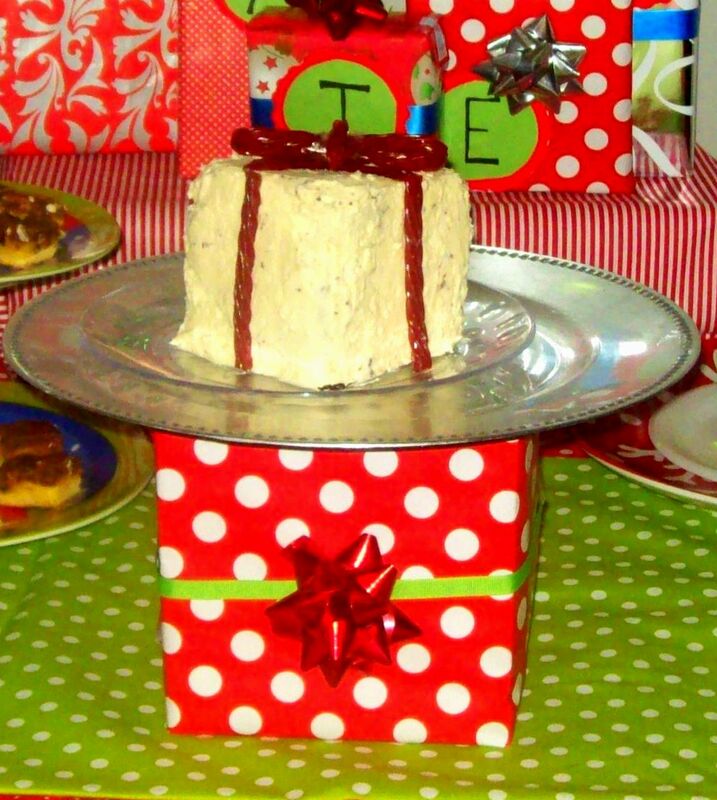 Gift Box Cakes that go well with the meaning of his name, I know I’m cheezy. Six layers Chocolate Cake with White Chocolate Peppermint Frosting and the other is also chocolate but with Rasberry filling and White chocolate frosting! 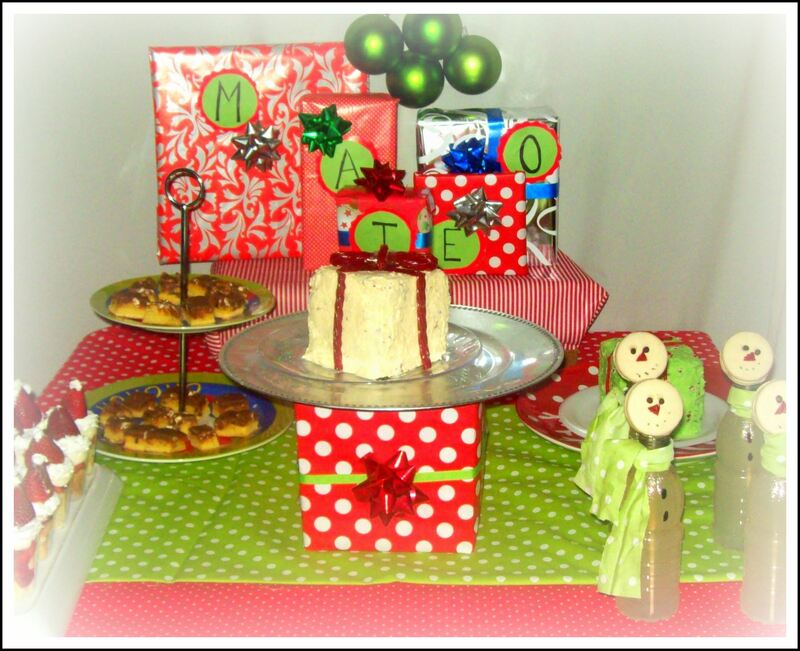 Gift Box Cakes that go well with the meaning of his name, I know I’m cheezy. Six layers Chocolate Cake with White Chocolate Peppermint Frosting and the other is also chocolate but with Rasberry filling and White chocolate frosting! 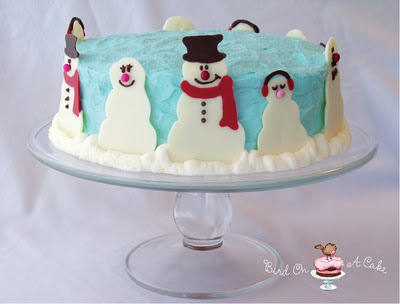 Bird on the Cake has this fabulous Snowman Cake. 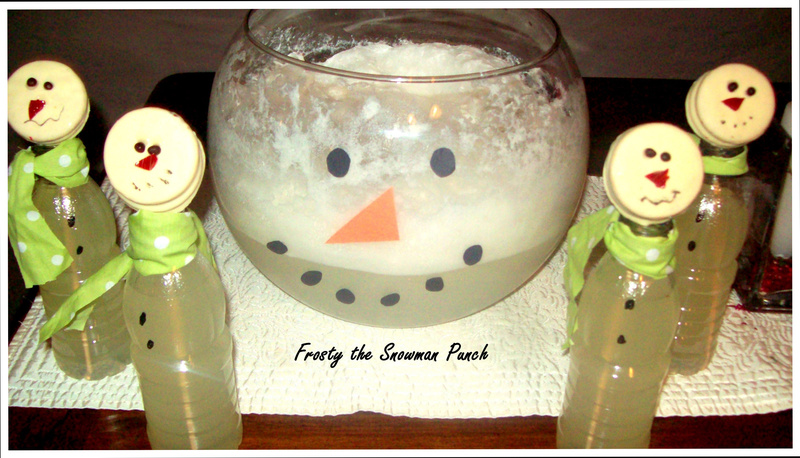 Frosty the Snowman Punch– Vanilla ice cream, Coconut ice cream and Sprite! 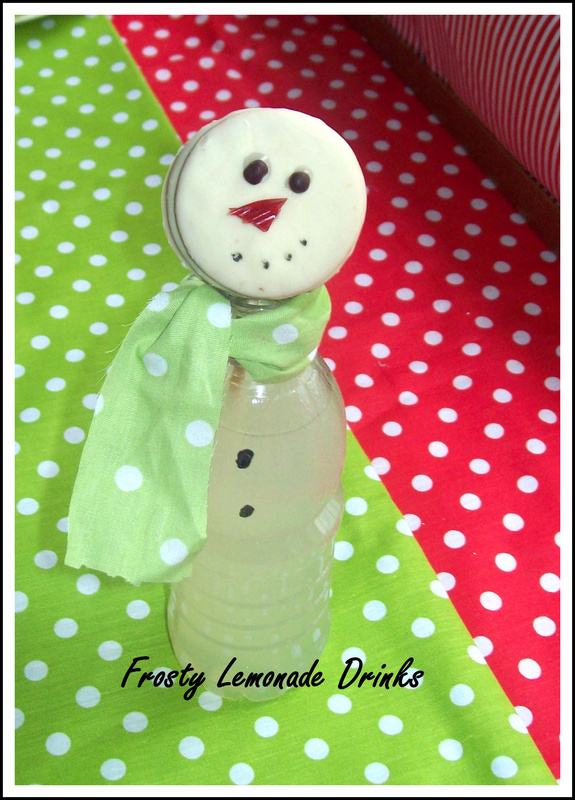 Frosty Drinks– I bought lemonade drinks and added a scarf and face. 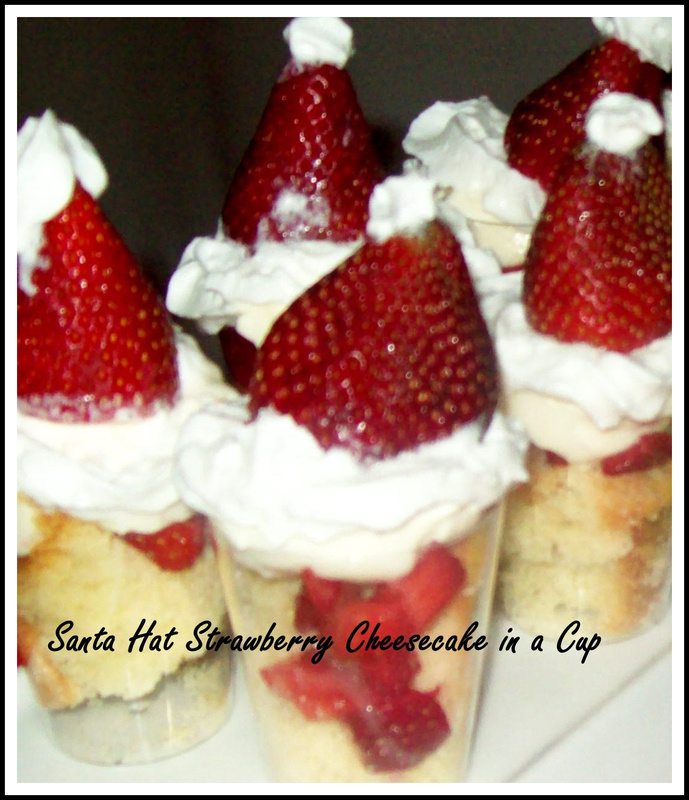 Santa Hats –Strawberry Cheesecake in a Cup I followed this recipe but also added pound cake to it and used whip cream for the Santa’s white fluff and a s-berry for the hat. The Birthday Boy in his Snowman Onesie! Snowball Fights using tissue paper balled up. Split them into teams and play Christmas music. When the music stops they stop their snowball fights. 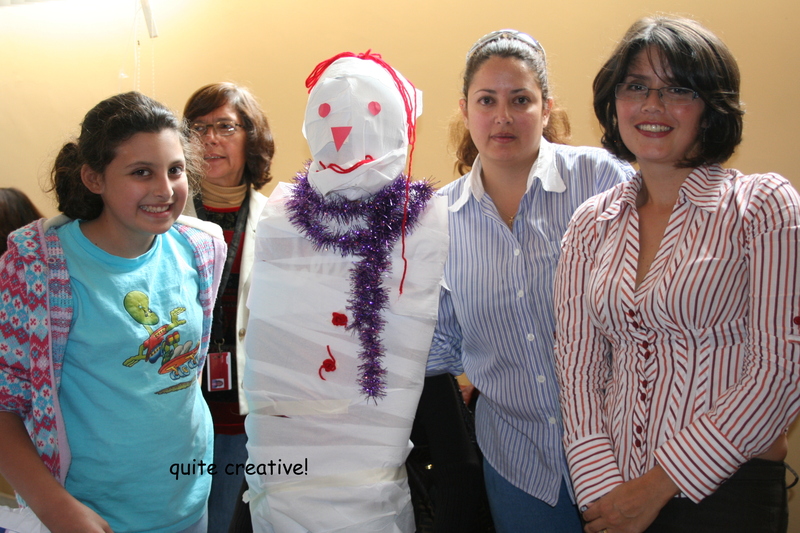 Build a Snowman contest– Divide them up into teams or by families and give each person a roll of toilet paper, masking tape, colored tissue paper and time them. When the time is up award the best snowman or everyone can be a winner. 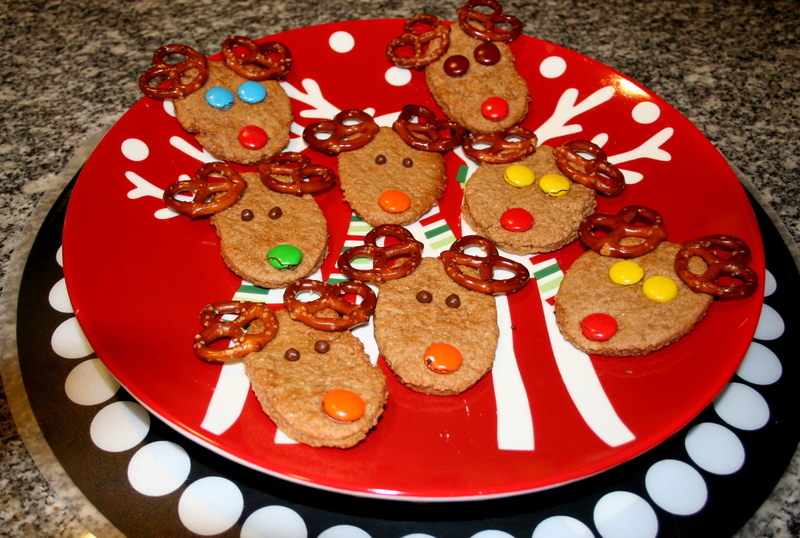 Freeze Tag Christmas Style– Play some Christmas music, stop the music . When it stops they have to freeze from their silly dancing. If they move they are eliminated from that round. 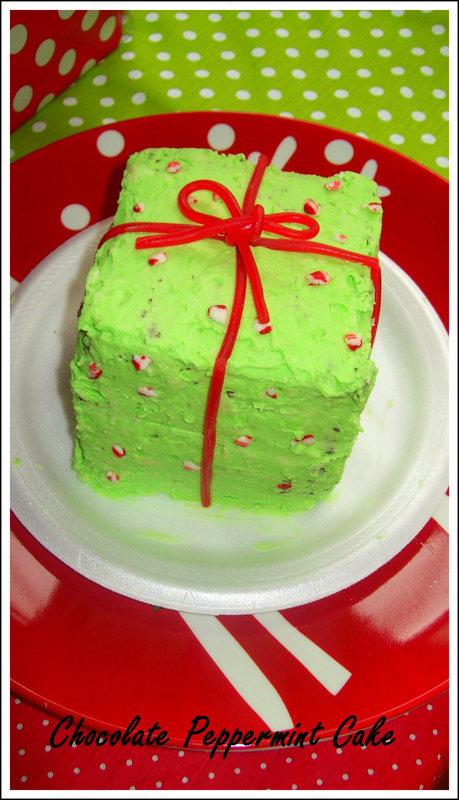 Christmas Carol Charades– Write on notecards names of Christmas carols at least 15-20. One team does the acting while the other team listens but doesn’t guess. The team doing the acting picks one person to act out each carol. The actor has 1 minute to do as many carols as they can without any talking, humming or singing the carol. then they rotate, taking turns until all the cards have been used. 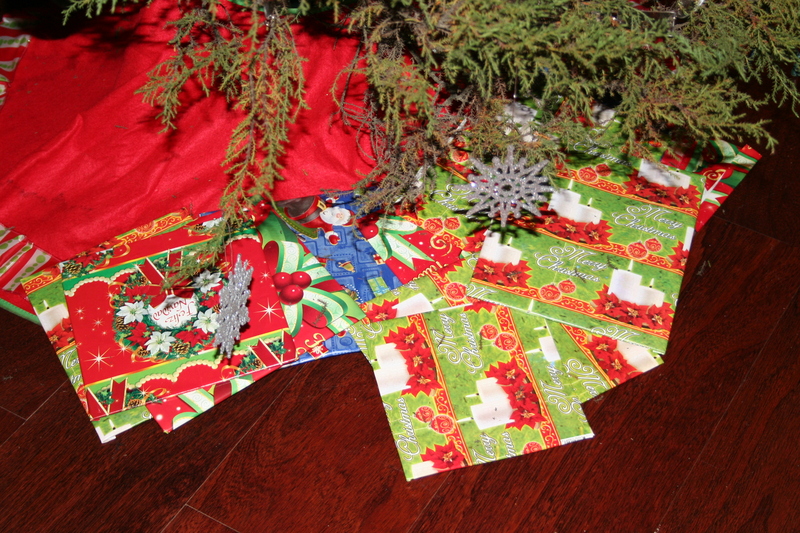 Christmas Scavenger Hunt using the 7 Gift boxes from What God wants for Christmas or you can come up with your own clues and hide them around the house. Christmas Book Exchange– This game is my favorite and so much fun! Have each child bring a wrapped gently used or new book and read the story…..
what a fantastic party! love the food and games and your little one is so adorable. 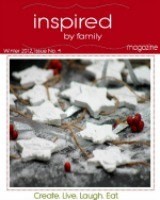 My daughter will be 2 in January and I’m thinking a snowman theme will be so cute. Thanks!